"Our fall was, has always been, and always will be, that we aren't satisfied in God and what He gives." Ann Voskamp, "One Thousand Gifts"
Oh boy. Just . . . oh boy. I’ve started reading a new book—Ann Voskamp’s “One Thousand Gifts”—and I can see that this is going to be profound. Moving. Life changing. I’ve only read three chapters—chapters that need to be savored, not devoured—but I can already tell that this is a book that will have a deep impact on me. Ann begins her book (a memoir, my favorite genre) by telling the story of her younger sister’s death when Ann was only four years old. An accident; she was run over by a truck in the yard of their farm. After many years of questioning God, harboring bitterness and anger, Ann learns to release these feelings through what she calls the gift of gratitude. A friend challenges her to write down One Thousand Gifts, daily reminders of God’s grace in her life, to see what would happen. Things happen alright. Even in just three chapters, Ann shows what the deep roots of ingratitude can do to a person and how just thinking of God’s goodness every day has changed her. I’ve been trying to chronicle my own “Gratitude Journal” here over the past few weeks, but I haven’t been consistent. I’ve even thought about stopping because I didn’t see the purpose in it clearly. But now, after just three chapters of “One Thousand Gifts” I’m beginning to get it. And I’m beginning to see how thankfulness can root out the ugliness of bitterness, anger, discontentment. I’ve been through a bit of what Ann has. Many of you know (but many don’t) that I lost a brother to an accidental drowning when I was eleven years old. I have much to say about that, but not here and not now. I only mention it to say that I get where Ann has been. I’m not sure I’ve held on to the questions about God the way Ann has, but I’m sure I have suffered the discontentment she talks about. The questioning of God’s ways in our lives. And I’m on the other side of it now too. Not quite sure how I got here, although I’m fairly certain it wasn’t through counting my blessings. And so I count them now. The blessings. They are all around me, so deep, so vibrant, so real that I can touch them every day. I’ll keep counting. You can keep reading. And we’ll all keep growing. 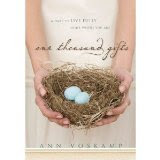 If you’d like to read Ann Voskamp’s book “One Thousand Gifts” you can order it here. 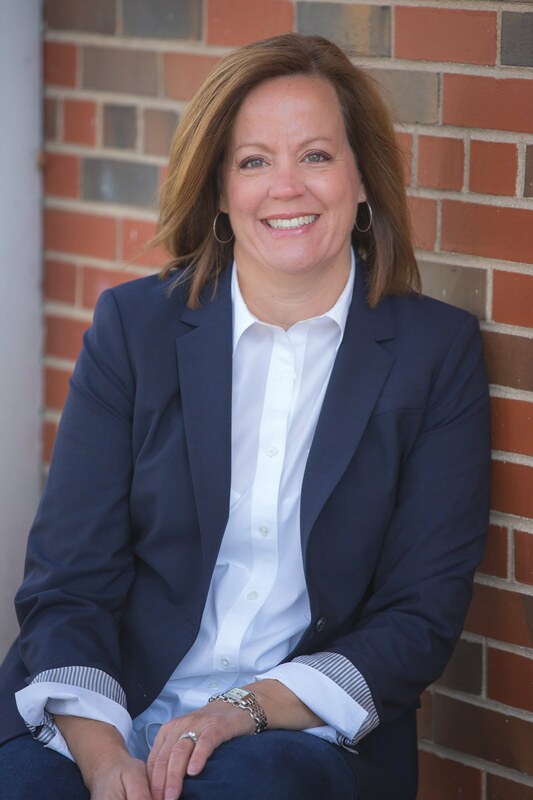 And if you’d like to follow along with (in)Courage—they are hosting a book club with Ann Voskamp every week—you can find the interviews here. 66. Sunlight streaming through my bedroom window. 69. Safety through the blizzard. 70. Little girl hugs after a weekend away. 73. Long talks over lunch. 74. My Bible study co-leader. 75. Opportunities to wait and see. 76. All the people I love and who love me so well. I really want to read that book but have to many going right now. Thanks for reminding me of MY blessings! I'm down to the last pages in her book. Amazing. It was wonderful to meet you at Blissdom! I am reading it too...slowly. Also purchased six so far this is going to be my gift of the year no matter if they are a believer or not. It is a book of life and slowing down and something everyone can learn and do and appreciate. She is God's messenger to a world so ready to receive. This has been on my "to read" list and I thank you for the reminder! Ann's book is excellent. I just finished it, and now I plan to reread it slowly. Blessings! "Opportunities to wait and see." That struck me so hard, and gave me so much to think about. Is it not strange that we never think of waiting as an opportunity??? I loved your comments and your list today. Thank you for letting me in on it all! I clicked over from Ann’s today. A little late – but there are so many to read! First – I’m reading my book really slow – letting it sink in – don’t want to finish so quickly. It is amazing. No? Oh, and Happy day after Valentine’s Day. Love the comments here! . . . and that these are all from new readers (with a couple of exceptions)! You are all blessing me. Thank you! Craig, so good to see you here. It was great to meet you at Blissdom! I started reading this three weeks ago and am slowly making my way through it. It is taking me a while to digest, mull over, and pen my blessings/gifts, and I'm only on chapter four. Thinking books take me a while to digest, and I do with anticipation of a journey. I love how descriptive she is and how she gives her readers a feeling of being there with her. I moseyed over after finding you on Glenda's "G" and so glad I did.